If missing teeth are affecting your ability to chew or speak, getting dentures in The Village of Cross Keys may be a solution. These devices are installed during a simple procedure and can greatly improve your quality of life. 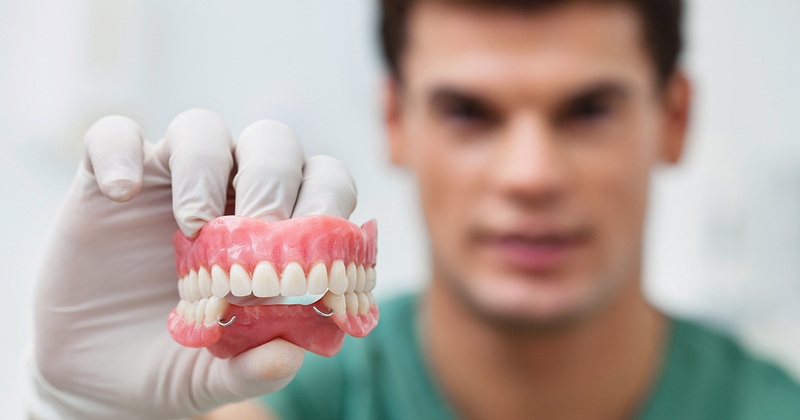 Read on to learn more about affordable quality dentures from our office. What Happens During the Procedure for Dentures? Receiving denture treatment involves several steps, which will vary depending on the type of denture that meets your needs. Before the procedure, the dentist will take impressions of your mouth to ensure that the device will fit correctly and accurately replicate your natural bite. If you have diseased teeth, they will need to be extracted before your permanent denture is placed. You may receive a temporary denture to wear after the extraction. Those who are receiving an implant-supported denture will also receive their implants before a permanent appliance is placed. Once the denture is finished, your dentist will make any adjustments needed to allow you to wear the denture comfortably. Also referred to as a complete denture, a full denture replaces all the natural teeth in your jaw. To receive a full denture, all your existing teeth will need to be extracted. Once your gums have healed, your permanent denture will be fitted at a second dental visit. These devices can be removable or fixed into place with dental implants. With a partial denture, you will be able to keep healthy adjacent teeth while replacing damaged teeth with a bridge-like device. A partial denture often includes clasps that allow you to slip the device over the supporting teeth. Each night, the denture is removed for cleaning. Unlike a traditional partial denture, a flexible partial denture does not include a rigid base or metal clasps. These prostheses are made from lightweight, pliable material that bends as your mouth moves. Flexible partial dentures are comfortable to wear and are made with natural-looking materials. A permanent solution for missing teeth, implant-supported dentures are secured in the mouth by two or more implants. These dentures are usually recommended for the lower jaw, as the upper jaw often doesn’t require added stability. They should be removed each night for thorough cleaning. 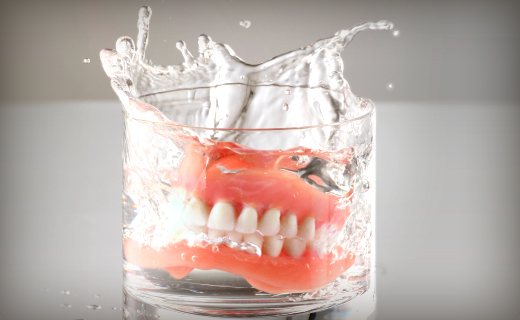 The cost of receiving dentures depends on a variety of factors. The type of denture chosen, the required preparatory treatment, and the cost of the denture materials will determine your total charges. At our practice, we’re dedicated to helping patients receive quality dental care at affordable rates. Call us now to learn more about the cost of denture treatment and to schedule your consultation. Losing your teeth can change your appearance, and you may find it more difficult to speak and chew. Fortunately, denture treatment can help you regain your smile’s look and function. These custom-made devices consist of artificial teeth attached to a permanent implant or a removable frame. A denture can last for many years with proper care, making it an excellent investment in your oral health. Made of soft, flexible materials, soft denture relines can reduce pain and relieve sore spots caused by denture wear. If your dental appliance is causing you discomfort, call our office to receive a soft reline. All -on-four dentures include a full set of artificial teeth that are permanently affixed to four dental implants on the bottom jaw. This unique treatment concept combines the convenience of a fixed denture with more biting power. Call our office today to learn whether an all-on-four denture treatment is right for you.